June 28, 2013 - "Press Releases"
We have made it easier for Engineers to get the support they need designing components into their products. 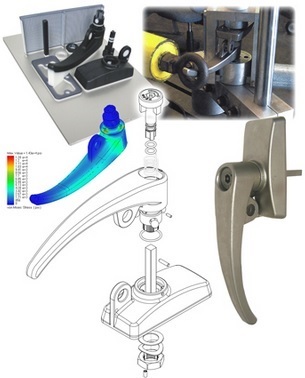 So, when your product design calls for access hardware or other industrial hardware, come to www.spep.com and view or download many of our parts in 3D. Since 1986, Sierra Pacific Engineering and Products has been providing high quality hinges, handles, and latches to OEMs. Half our business is comprised of custom parts that are not in our catalog. So, check us out. Go to www.spep.com, select a part you’re interested in, and drop us into your design. We think you will find us a good fit.